Okay, now I've made a track where I trigger the sample in Obsidian via the Slate pads. Now it is not possible to use the effects of Slate. Does anyone have a trick to do that? Furthermore, I wondered whether an audio effect on a track, or on the MAIN MIX, can be automated? You wouldn’t use the Slate FX, you would use the obsidian FX. All of the built-in effects can be automated I believe, just by going into record and tweaking the effect parameter that you want to record. My real question is if it is possible to record that automation? I know it's possible to record the automation from a Slate effect but I can't find out how to record the automation of an audio effect that I have put on a track of the MAIN MIX. Have you enabled automation record on the channel? Don't apologize, I find it very nice that my questions are answered so quickly. To answer your question; I actually want both. Nope, I had not done that yet. In this way it is possible to record the automation. However, I can not see what exactly is automated in time. That is not visible in the song mode? Thanks to all for helping me out! So on the channel view, click the little automation icon in the upper left.. Okay, WoW, I feel really stupid now. Thank you very much, this was exactly what I was looking for. Don't feel stupid. It's a tricky one. Indeed, the next version of NS will have WRITE (big red W) enabled for all tracks in the default project template. If you want this now, create a new project, enable W on all tracks and then save it to the templates folder as default.prj. Is that a good idea? Doesn't mean that if you move the faders during playback every move will be recorded as automation? Or am I missing something? 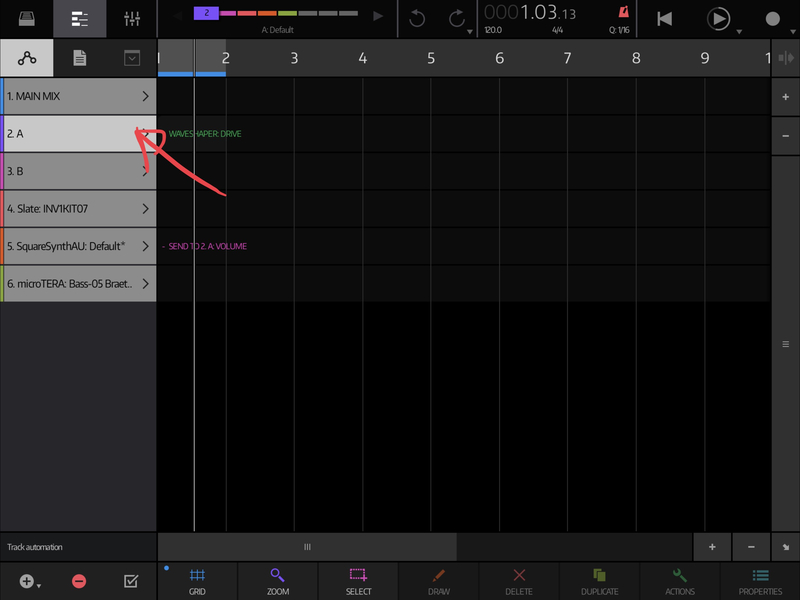 only if you are in record mode W switch just enables recordig of track automation IF you are in recording mode, not during normal playback. 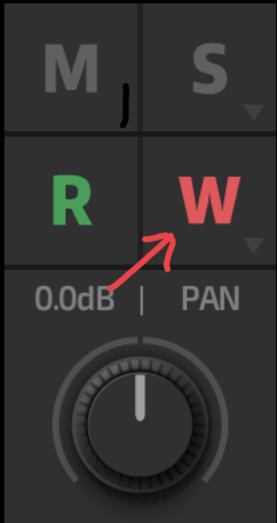 I thought the way this kind of automation normally works is that enabling the W button records the automation (even if you are just in playback mode) and the R button toggles the automation on or off, at least that's how it normally works. 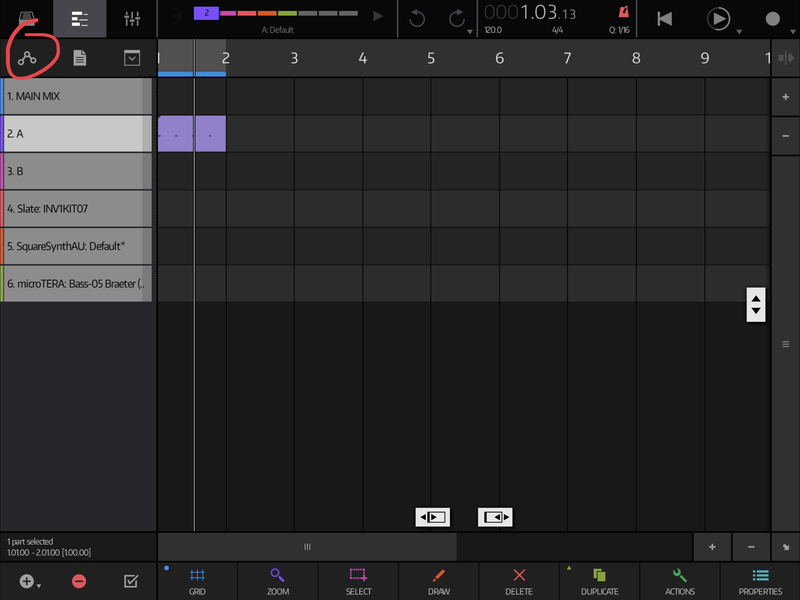 Yes, pressing write enables writing mixer automation to that track. But the rec button still needs to be pressed to actually write anything, just pressing play isn’t enough. This is the same as in Ableton Live at least, can’t really comment on other DAWs. OK I guess it's just a different way of doing things (just a different convention). It seems kind of redundant though, because the whole point of the W button is to record the automation, so having to actually then press the main record button as well seems unnecessary. 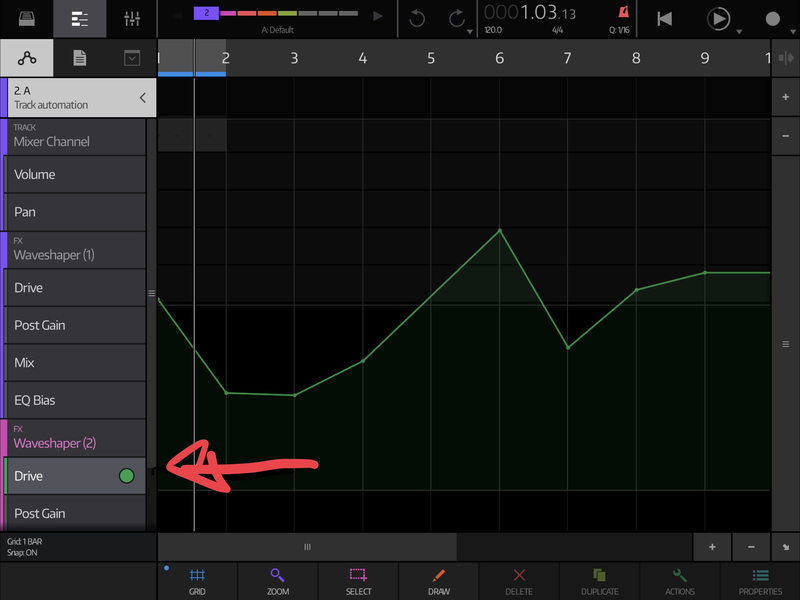 In NS it's this way (nothing is recorded untí you really don't hit "record" - red "W" does same thing as arming for recording in track header in sequemcer)..
additionally when you hit record you see small red circle near all automatable params, and in case there is already recorded some automation this circle is filled.. In NS it's this way.. additionally when you hit record you see small red circle near all automatable params, and in case there is already recorded some automation this circle is filled..
Well I think once audio tracks arrive it's potentially going to be a real can of worms. If you have an audio track armed, and press record to record some automation, it's going to be a mess. That's why most DAWs do it the way Auria does it, just use the W button to record automation without needing to press the main record button as well. I like the way it is set up currently: must press Rec before anything is recorded. If I am not mistaken, having the track armed for recording automation by engaging ‘W’ is necessary for drawing in automation. I wouldn’t want audio tracks to start recording when I want to draw in some smiley faces over my MIDI tracks. That's a real good point right there. I imagine we're going to have to explicitly arm audio tracks as well vs the "I'm open to it" way MIDI recording currently works. Indeed, the next version of NS will have WRITE (big red W) enabled for all tracks in the default project template. If you want this now, create a new project, enable W on all tracks and then save it to the templates folder as default.prj. I actually think I was dead wrong here, sorry. I think the plan is for default.prj to R enabled by default so that drawn automation 'just works'. Sorry for the confusion! I thought R was supposed to automatically be turned on when an automation point was added to a track. This would be my preferred way to handle it.